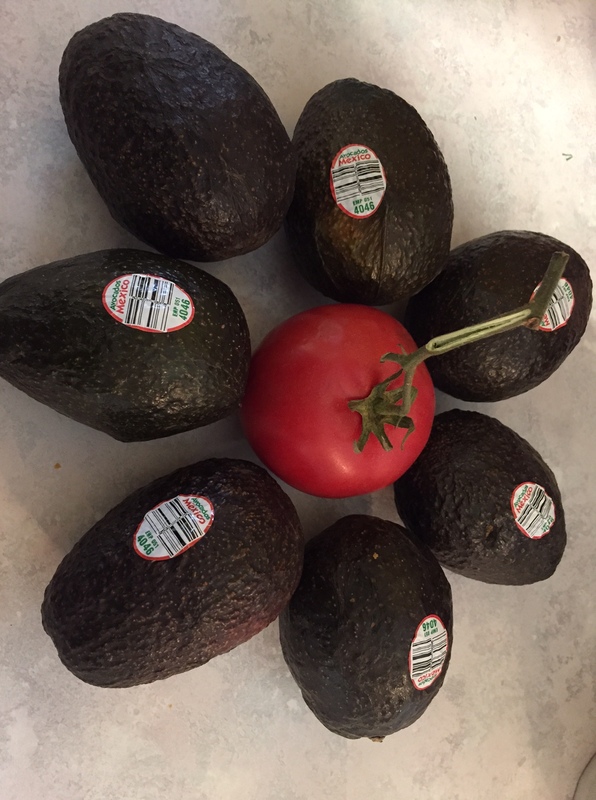 I was able to buy 8 avocados for $2 at Grocery Outlet. One of the kids “arranged” them, and I though it was kind of pretty! I bought very few groceries this week. Frankly, I didn’t have room for both groceries and Easter food in my fridge. I used a ham that I got on a good sale after Christmas, potatoes I got a while back for 50c/5 lbs., home-canned green beans, mango lemonade I got for 99c/jar a while back…..things like that. 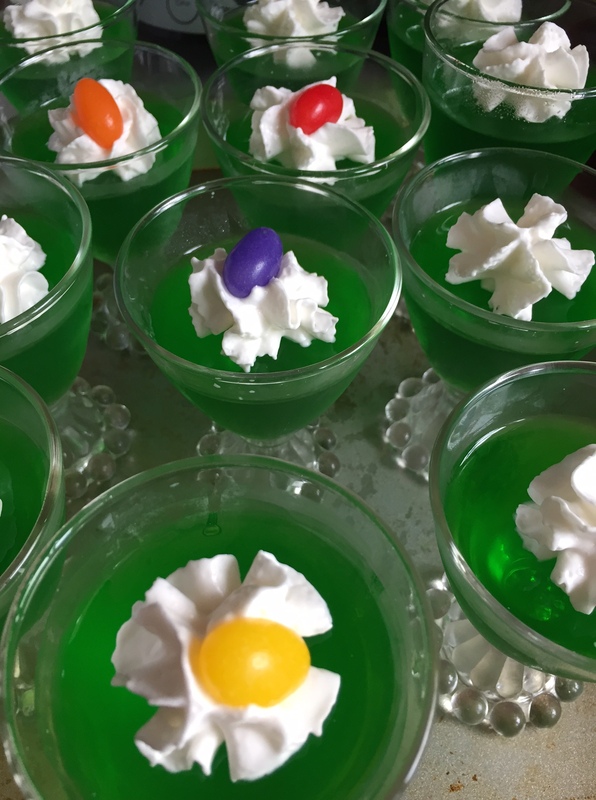 Plus, Patsy made Jello for the holiday. 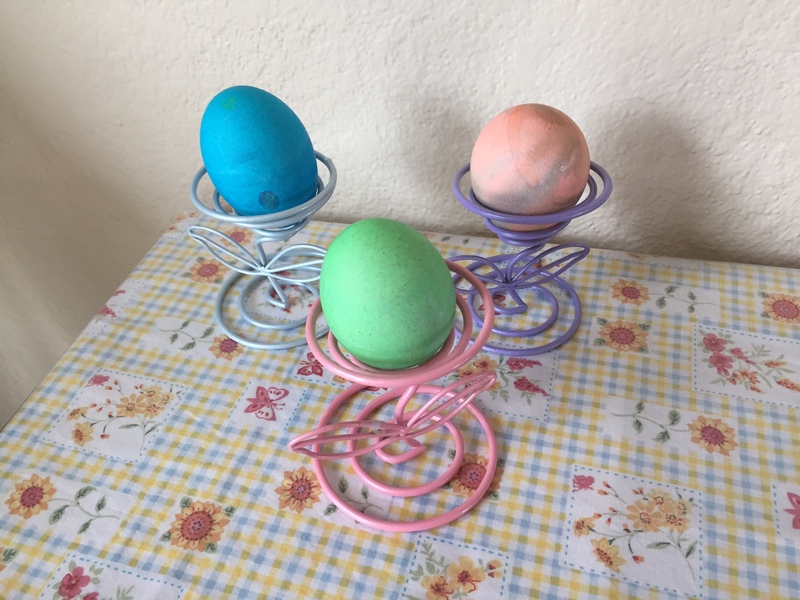 She colored a dozen eggs with a kit from the Dollar Store. One of the challenges for me this year was making Easter special. Since so many of us get together every single Sunday, I wanted this to feel special. First, a few more family members were able to join us, which was very meaningful to me. I added a few decorations, and special foods, especially dessert. We don’t always have any on normal Sundays. It turned out very well. Everyone had a good time, and we were able to visit more than normal. The younger kids, especially Jake, enjoyed hiding and finding eggs. Everyone enjoyed candy, chocolate cupcakes, and cake. People pitched in on the dishes, and I’m all ready to get back to normal tomorrow, which is nice, with no big mess left behind. 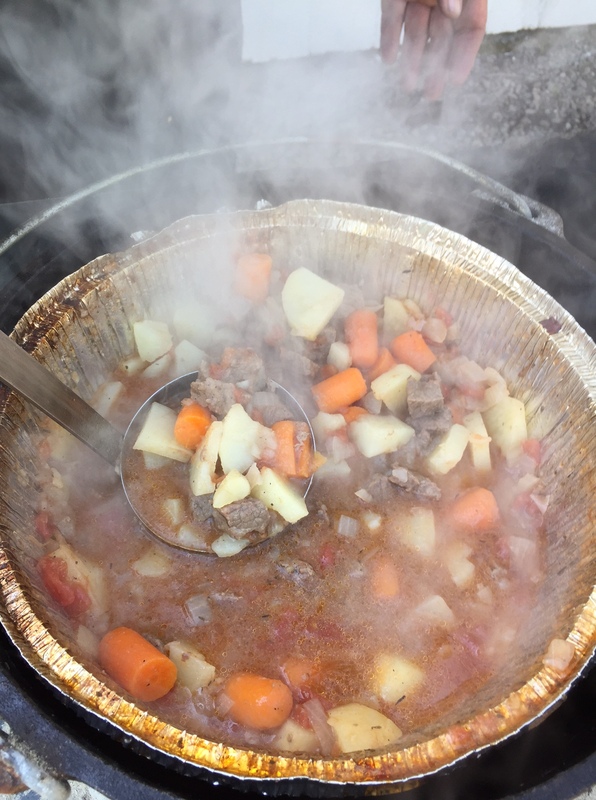 We were able to teach 2 classes at a 4H workshop on Saturday, to a total of 21 kids.We had them make beef stew in a Dutch Oven, make fire starting kits, and roasted marshmallows. 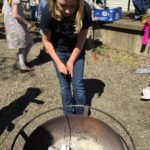 We talked about fire starting and safety, how to care for cast iron, and a couple of ways to cook over the fire–open fire and charcoal. 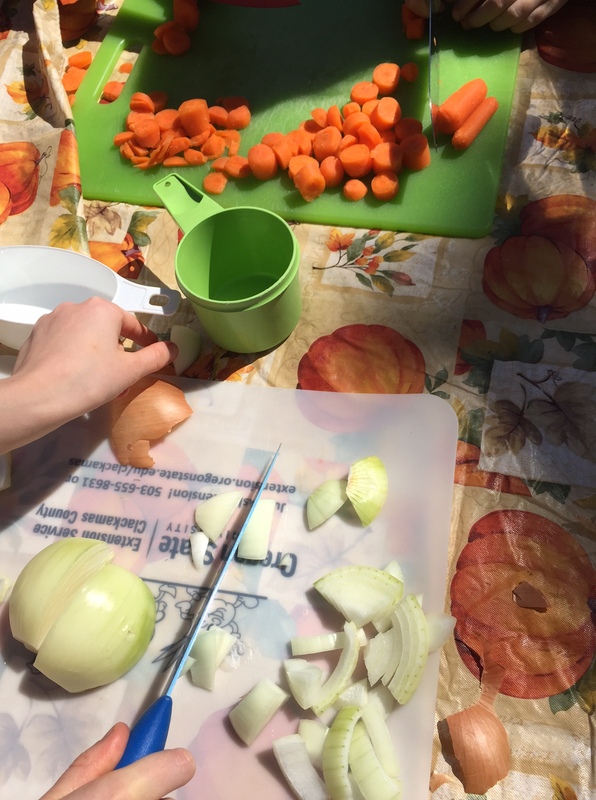 We were able to use very inexpensive ingredients, and had some stew left over for our dinner that night. It was a class where the kids that were 7th grade and up were encouraged to help teach classes to younger members at a county-wide event. So, Rob and I had Patsy, Ja’Ana and Alissa help us with the classes, and they were wonderful help. 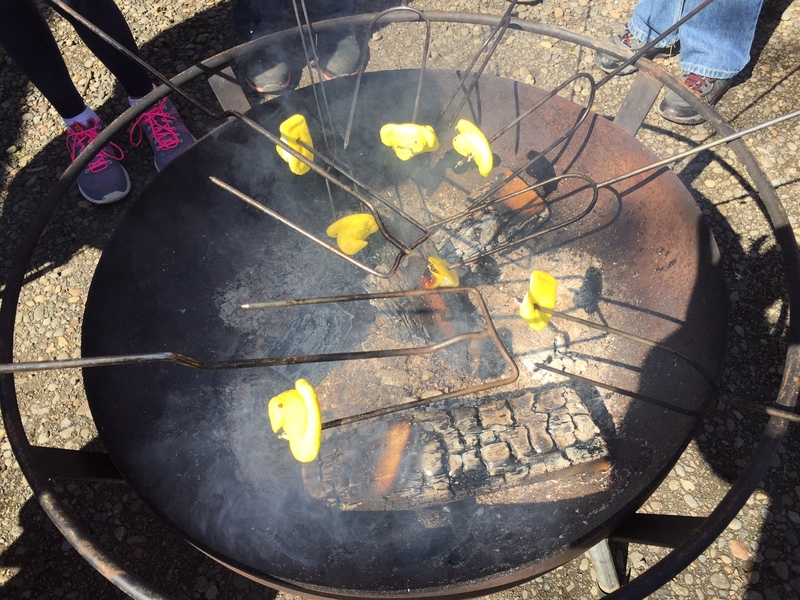 We roasted Peeps in honor of Easter. Then, we packed it all up, took it home, and put it all away. Rob and I both enjoy doing this kind of thing, so we were both happy at the end of the day. The week ended up both frugal and fun, which is a great kind of week to have! How about yours? Glad you had a good time on Easter, Becky. Roasting Peeps is a great idea. Hope it made them more palatable. Ha, ha! I did eat one, and Wow! They are not my favorite, either. We gave each 4H kid only 1 Peep, as they are way more costly than marshmallows, but they still had fun roasting them. were there.. SO nice. Now, I am ready to get back to normal. I’m glad your Easter was great, too. I love that the kids can help with the younger ones, too. 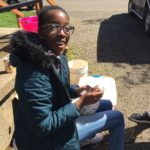 Rob and I did the bulk of the work and teaching, but the girls were tremendously helpful with so many things–it was awesome, and helped the day be so successful. I hope in the future, these young people will feel enabled to teach things themselves! Looks lovely! We had some family over-husband cooked (with leftovers) so im enjoying an extra days holiday today. That sounds very relaxing. Nice! Love the jello cups. Patsy did a beautiful job! Thanks! She had a little help with the whipped cream from Lovana. I thought it was cute:) Nothing like a fancy dish to dress things up. ROASTING PEEPS! That is a first for me. I will add that to my recipe file. Just watch the sugar. It gets super hot, and can burn mouths if people are not careful.